Congratulations Mr. Market…you’ve delivered a tremendous year of returns to equity investors! With the broad equity markets delivering returns over 25% (S&P =29%, DJIA = 25% and the NASDAQ = 37% as of 12/27/2013) investors are now faced with the question of what to do now? For those investors that were invested in stocks, especially domestic stocks, year-end statements are going to look very impressive but remember that is only on paper. 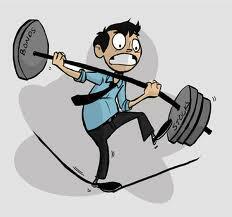 As we step into 2014 what should investors do with their portfolios? Which Investment Door are you Going to Open in 2014? 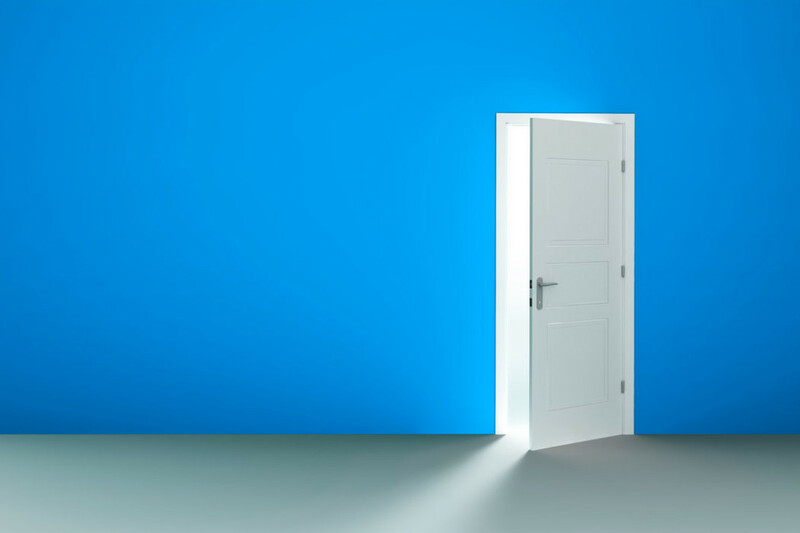 Imagine yourself in an empty room that has three doors. This room represents the investment year of 2013 and the door that they are about to open is where they hope or think the best returns will be for 2014. With one of the strongest stock market years on record many mutual fund investors will end the holiday season by unwrapping a lump of coal. In January most mutual fund companies and the IRS (Internal Revenue Service) will mail out Form 1099-DIV. 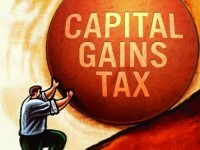 2013 will bring mutual fund investors capital gains distributions ranging from 6% to 60%. It’s no secret that we’re not fans of most mutual funds and capital gains distributions are just one more reason. Today we will take a moment to address an issue that every investor (especially mutual fund investors) needs to be aware of – Capital Gains Distributions. One of the greatest things about this country is that we are all free and entitled to voice our own opinions. In this forum, however, we rarely intend to bring up political divisions as there are simply too many and we find very little upside in wasting our energy in that department. Certain issues, however, have a direct economic impact to you and we believe those are worth digging into. The most recent debate over raising the minimum wage has certainly “ripped the Band-Aid” off an old but existing economic wound. Taking all feelings and intuitively good intentioned emotions aside, let’s set the economic record straight on this hotly debated topic. Currently Congressional Democrats want to raise the current minimum wage from $7.25 (nationally) up to $10.10/hour and also index it to the Consumer Price Index (CPI). With a Republican-led House this is unlikely to happen as they believe most businesses would have to cut jobs. Supporters of wage increases claim that the standard of living rises, poverty levels drop, and businesses become more efficient. The opposing side counters with claims of increased poverty, higher unemployment, and detrimental effects to most businesses. Who is right when it comes down to pure economics? 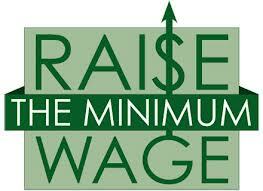 At a first glance raising the minimum wage obviously seems fair and just. Most people initially want that and so do unions who dislike low-cost labor competition. Clearly a full-time worker making the minimum wage is likely to be well under the poverty level. (family of 4 = $23,550 ) Over half of the minimum wage population is well under the age of 25. The majority of individuals in this population are unlikely to be supporting a family of four and in all likelihood are working their first job. If it was just about picking a number and raising the wage to one that seems or “feels” right we ought to just go with $20/hour, right? Picking a random number or one that works backward to solve an economic problem won’t solve anything. In economics it comes down to basic realities like supply and demand, cause and effect etc. $20/hour seems a lot more “fair” than $10/hour but realistically when setting prices they must be derived from demand and economic data instead of grabbing them from thin air or what feels right. Who is the ‘Fed’ and what do they do?! “Who and what is the Fed”? “What do they do” and “How do I understand what they are really saying and how it will impact me! ?” These are questions that we often hear from investors. 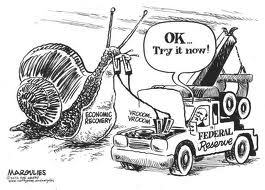 The Federal Reserve frequently dominates economic headlines and although its actions impact us all, very few of us truly understand what “the Fed” is or what it does. We all hear terms like: “Don’t bet against the Fed”, “Dovish or hawkish sentiment” “Quantitative Easing” and “When will the Fed begin to taper”? These are just the tip of the iceberg as the press and media attempt to interpret anything and everything released by members of the Fed. Let’s take a moment and look at the basics of what the Fed is. Have a question or want to contact the authors of Dear Mr. Market? Is the Death Cross accurate? What to do if the Stock Market Correction turns into a Bear Market?